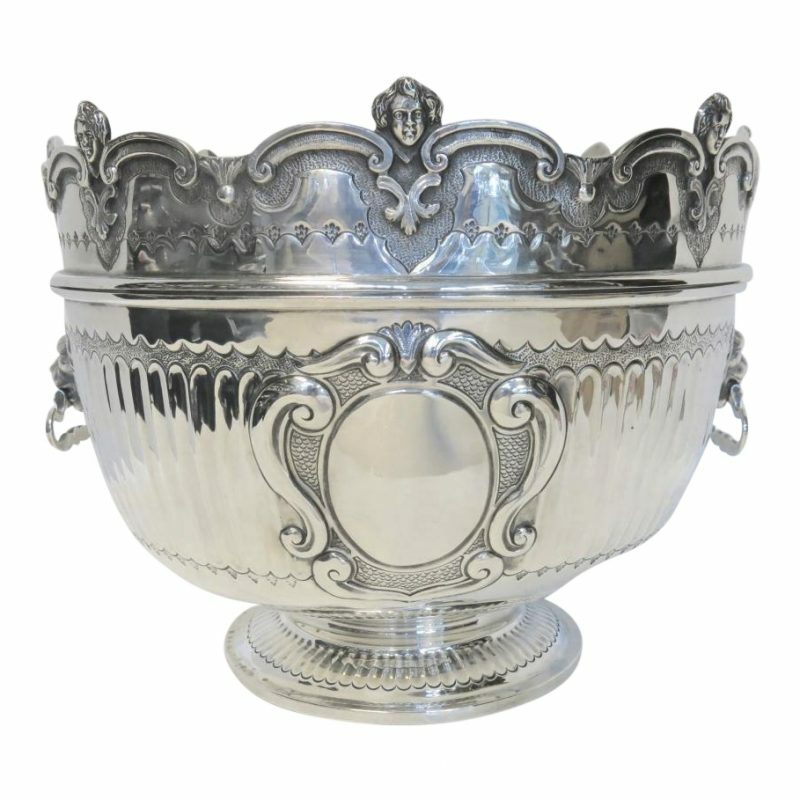 Antique English, Sterling Silver, Victorian Monteith Punch Bowl With Detachable Rim. Hand Hammered Vertical Fluted Body Standing On A Round Pedestal Foot With Matching Fluted Decoration. 2 Lion Masque On Either Side With Swing Handles In Mouth, And 2 Blank Cartouche. 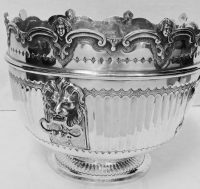 The Scalloped Crown Topped With Cherub Heads. 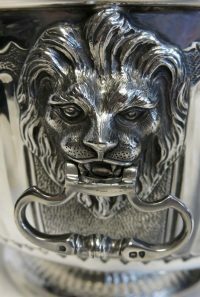 Made In London By The Silversmith Robert Stewart In 1895. 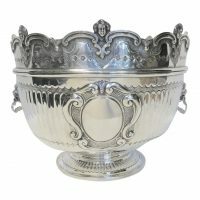 The Diameter Of The Bowl Is Approximately 12 1/2". The Maximum Height Is 10 1/4" Or 7 1/4" With Crown Removed. The Maximum Width Over The Handles Is 14"